The ability to grow looks very different here than it does on the coast too, so for me, I have eight fortune 500 companies within three blocks of my office. We have the largest concentration of fortune 500 companies per capita than anywhere in the world, so my ability to sell looks very different than somebody from the valley coming in and trying to pitch a kroger or a proctor or the third or any of those big organizations and they’ll take my. They’ll take my meeting because they’re nice and they want to help. Hello. Hello. Hello and welcome to upside podcast. We’re finding upside outside of Silicon Valley. I’m eric and I’m accompanied by my cohost, Mr Columbus, Ohio himself. Jay Clouse. How’s it going man? from a snowy Columbus. I hear. right? Ohio, the only city where you can get four seasons in one day. Yeah, it’s spring man. Gotta have snow. Yeah. So Jay, what are we doing here, man? So you and I talk about this a lot. We talk about different startups that we’re looking at and following that we think are high upside businesses and a lot of those startups happen to be outside of Silicon valley, partially because that’s where we’re both located, but eric and I got to talking and we said, we talk about this a lot. Why don’t we show more people who these companies are, learn more about them, talk to them more directly and really show what places like the Midwest, what we’re, what we’re made of, and we believe that these founders are smart, resilient opportunity seeking capital efficient. We think it’s a really good place to focus. If you’re an investment professional or you’re looking to get into alternative investments. We think that opportunity is here and we want to show that off. So that is the upside podcast. Did I miss anything, Eric? No, I think you did a great job and if you’re a listener and you made it through that and your eyes lit up because you feel the same way, then this podcast is probably for you and we’re gonna. Tell you a little bit about how we’re going to walk through the rest of this podcast and who we’re going to be talking to. So the way we structure our podcast here at upside is that we want to walk through the three stages of startup deal analysis, so that can be what a v, how a VC works at a startup, but primarily how an angel investor would look at a startup. The first phase is research, so you’re going to hear me and Jay talk about some of the research we did both online, looking at articles, looking at databases, crunchbase or Angel List to get a sense of what this startup is like. Then we’re going to interview a founder. We’re going to ask some questions, get a little bit deeper into their story, where the company currently is today and the outlook or the market that this founders working in, and then we’re going to debrief. We’re going to do this and what’s called a deal memo and we’ll teach you a little bit more about that later in the podcast, but essentially a crystallizes our thoughts and helps us examine what we were thinking six, 12, 18 months from now. When we look back on this deal. With that being said, Jay, who are we talking to today? Today we’re talking to summer crenshaw. Summer is the CO founder and coo and Cmo of Tilr Corporation based in Cincinnati, Ohio. As part of the leadership team at high frequency marketing before Tilr. Summer, develop tactics to drive online and offline brand activation. In her leadership role there, she was able to work with clientele including major and independent record labels, consumer product firms, video game manufacturers, and major motion picture studios or efforts contributed to media exposure featured on media outlets such as CNN news in a variety of publications including inc magazine, brand week, billboard advertising, age Ad Week, and the economist leveraging that experience. Summer worked with careerbuilder dot Com as part of the startup team that pioneered the Cincinnati and surrounding tristate market development before cofounding Tilr and 2015 Tilr is a first to market on demand recruitment technology that empowers workers and companies alike. Their proprietary technology matches based on workers skillsets, job requirements and location as opposed to job titles. This allows Tilr to quickly fill open positions for employers while offering workers new opportunities. All of that is what I found on the Internet in my research and what summer told us ahead of time, but I’m excited to talk to her today. I don’t know about you, but my. My first reaction was this is a very relevant and timely sort of business idea. I think it’s fascinating because it does a couple of things. The most interesting one to me is that it algorithmically pairs people with jobs based on skills. Right? So one of the biggest problems in hiring, and I run hiring for our group here in New York is like the like person principle, right? They have to fit your culture, you have to like vibe with them in some way, but that leads to a lot of like good old boys club mentality. So I think that this is something that would be more effective and more inclusive what do you about that. Well, you know, I, I always lean towards product questions because I’ve a little bit of a background in product so I have a lot of questions about how technically some of these things work. You know, it seems to be in, in the research that I did that as a user of APP, I go in and I start filling in my skills and abilities as opposed to just scanning my resume or uploading my resume. So it seems like maybe they give a little bit of a, a menu of skills that they think you may want to select based on your experience. So I have some technical questions around that, but I agree with you. I think it’s a big opportunity and I look at it from diversity and inclusion too because there were a lot of unconscious and unfortunately sometimes conscious biases that go into selection of new hires from resumes. And this seems like it might even the playing field a little bit, which will be good for everybody. Yeah. Outside of the product itself, I’m really curious how their ecosystem works because I actually have a little bit of experience working with companies, uh, in the staffing industry who have gone bankrupt for fraud or other reasons and the ecosystems there are very large, especially as it relates to insurance, which is a very tricky industry to say the least and can really pop up on you at the last minute. So I’m, I’m interested to see how they are mitigating the risk of bearing certain insurances and what they are thinking about when it comes to insurance or how they’re providing it to their business partners. Interesting. Well I saw that they work on 10 99 as opposed to who did you. Did you find that, do you think that has an impact on, on what you’re saying right now? besides being relevant from the standpoint of recent, you know, talk about ai taking jobs and needing to prepare people to reenter the workforce in different ways utilizing their skills. What I found about Tilr now is their industry focuses, our logistics, customer service, administrative manufacturing and hospitality and what’s what strikes me about that is that might be where either the team was connected in well and could get some customers on the supply side. It could also be where they found that putting people into those positions was easier. What strikes me is, well, from some of the work I do on the smart city team here in Columbus, I know that turnover is really, really high in things like warehousing and logistics and crazy fact is something like 50 percent of turnover is due to lack of transportation to the job which crazy, but in any case lot a lot of turnover. And so if, uh, those corporations are able to use Tilr to fill that. I’m sure it’s good for them because sometimes these companies don’t even have workers to fully run the lines that they have available to run. So it’s a, it’s an opportunity cost. But what strikes me about these industries is arguably some of these would be the first ones hit by ai and automation. And so I wonder what their strategy for that is or what their plan is there. did you have the same thought or a similar thought? A similar thought in terms of the concentration of industries. That point you just made about the transportation is fascinating and it’s something I didn’t know. I’m curious if our audience knew that, but it seems like that’s a potential tangential product for Tilr is maybe a partnership with Uber or something where they can offer lower things and take it directly out of their paycheck. Since and this is transitioning to a new point, it seems like they handle all the payment systems on the back end as well and I’m curious to see how that works. One other thing that you mentioned with turnover, and this is something that I’m really interested to hear from summer on, is they say that on average it takes 42 days to fill a position, but until her it takes one day. So does that mean when you go through this algorithm, all your documents are pretty much ready and you just have to sign and you can show up one or two days later and you’re good to go? Or is there still like a process and that’s just the sourcing side of it? I’m interested to hear a little bit more about that. It’s a good question. I’ve, I’ve heard a couple of startups that were playing in these sort of on demand shift worker role where literally you can kind of go in almost clock in the way you clock into Uber and go work as a hostess somewhere or a server. And I’ve always been curious how that works. Not just from a logistic standpoint but with my own experience doing some shift work when I was in college. Those are such tight knit groups and really in my experience, the best thing about that role is the connection you shared with the people you worked with cuz You’re kind of in this like, uh, I kind of hate this job sometimes, but at least at least we all know we all hate this job and if you kind of replaced that and you’re just getting a grab bag of people every day, it would be difficult as someone who was sort of full time in this role to connect with people, it’d be, it’d be difficult. So yeah, I’m, I’m curious to how exactly that works, but I do believe it’s a pretty big market from, from the standpoint of even just hospitality alone. I’m sure that’s pretty sizable. So I’m hoping to hear from summer about some of those numbers. Yeah, the market is definitely massive. Um, and we need to make sure that we do get some of those numbers from her in our interview with her today. But that means that getting it right is also really important. One other thing that I want to hear about is how they make sure that they’re getting it right. How are they verifying the skills that an employee puts in? So if you Jay Clouse, go and sign up and you put in that you’re really good at, I’m butchering meat and it turns out that you sign up and one day later you’re in a butcher shop and they go, all right, grab the. I Dunno what cleaver cleaver. That’s what I’m looking for. I was going to say machete and that would have made obviously butchering meat is not my thing. grabbed the cleaver and you pick up a paring knife, right? They’re gonna say okay, this is obviously wrong. So there’s the skills verification on the upfront and then also they have a ranking system that I couldn’t find much detail on afterwards. Then that ranking system I’m guessing verifies, but it does it retroactively. So there’s probably a little bit of balance there. What do you think? Well, I found an article, I think it was a couple years old at this point and that article they talked about the verification being all done over phone and talking to the candidates. So if that’s true that that can be reliable. Curious how they plan to scale that. Also, curious to hear what competitors are, what they consider to be competitors in this space, because you could go as far as saying monster.com is a competitor here, which should be a pretty big competitor of Linkedin, could be a competitor at the core of this. You know, it’s a, it’s a double sided marketplace and marketplaces are really, really difficult, so we’ll be interested to hear their approach to building that marketplace. They’re in more than one market now, so they’re, they’re working through it. It’ll just be interesting to hear their specific approach. Yeah, I agree. Looking at competitors, I mean you mentioned that the tech competitors, but there are entrenched companies that operate in these industries already. Uh, I forget the name of the largest one. It’s either, it’s like Elliot or Lindy or something like that. as a staffing firm, there’s a couple of other ones, but they are, I mean, they’re billion dollar companies, right? They’re, they’re massive. And they have huge networks of people who are putting these in, but they’re very expensive, especially in the agriculture space, which I know that Tilr is not in. I also wonder, this is fun. This is just a saying and I wonder, you know, thinking, thinking about Kanye right now, I wonder how they approach and position themselves to a company when they onboard a company. Are they selling to the HR agency? Are they selling to the recruiter in a way you could see where this would potentially take the role of a recruiter and that doesn’t necessarily mean that you’re cutting a job at your company. It could mean that you’re repurposing one part of your head counted company, which you know has value in some places, but that’s something else that I, I’m excited to ask summer unless you had some thoughts or something that you found in your research. No, that sounds I something I’m interested in it as well. So I think we covered a lot of the things that we’re interested in hearing about. You ready to dive into the interview? Yeah, let’s talk to her, Summer Welcome to the show. Thank you for having me. It’s great to join you gentleman the lovely morning on Saturday. Yeah. Can you, can you tell us a little bit about yourself and a bit about your background? Yeah, so I grew up here in Cincinnati, Ohio. I actually grew up fairly poor. I was the first person in my family to actually go to college, went to Miami University just outside of Cincinnati and a really focused actually in public relations. So wanted to go into entertainment. My goal early on was to be an entertainment lawyer, which is kind of funny now thinking about it because I, I don’t know, like using attorneys all that often. So the thing that I wanted to do that was kind of silly, but started my career in marketing, moved to New York, worked with a major record labels and toured all over the country, uh, with some interesting bands, including nickelback, which is really kind of the biggest joke on earth. They usually make me crack up, but had some, some fun experiences early in my career working in entertainment and we’re twisting great movies and production companies and then ended up moving back to Cincinnati and that’s actually where I got my job actually doing what relates to what I’m doing today with careerbuilder.com back when it was a startup, so back when I started that with that company, it was selling against newspapers to get companies to acclimate to this new thing with the Internet and actually being able to find talent in that capacity. So that was kind of the big precursor into planning that first seed for number one, entrepreneurship and number two, looking at this space in human capital and left career builder. Started a Fintech company not too long after, unfortunately it was 07/08 and 07/08. No fintech company did wealth, so I’ve got to learn a lot. No failures, just a lot of learning. At the same time, my husband actually, I was deployed to Iraq and he was injured in combat, so that was a whole new world that kind of came to fruition and ended up going back into let’s say, the corporate world and ran some different brands in our restaurant group and then after that started a another startup with my now cofounder, Crusa mcclue sack. She and I had also worked together at careerbuilder previously and ended up leaving that organization, joining another organization to run product marketing for a company that did fundraising for nonprofits. So and after that this idea of Tilr kind of came up and decided to leave that organization and launched Tilr with Clarissa. So we’ve had to startups and together and previously worked at careerbuilder when it was a startup. just on that. Yeah, no, it was actually. So my client at the time, I worked for a company called high frequency marketing and they did experiential marketing, so they were, you know, really focused on viral marketing before viral was actually even a word. So our client was actually Jim beam, so the tour that we were supporting the client we were supporting with Jim Beam, so it was the road to the rack house tour, so it was nickelback and their opener was actually Jerry Cantrell from Alice in chains. So, which is really such a cool experience to have my back pocket for three months going all over the world. And I actually liked nickelback still. So I’m not, I’m not ashamed to admit it usually makes most people laugh, but I like them. What a cool experience. Well, resisting the urge to go down that path. First of all, please thank your husband for us for his service. Sorry to hear about the unfortunate accident. But before we dive too deep into Taylor, can you tell us in your words what Tilr is, what it does at this point? At this point? Okay. We’re not too far off the vision. So that’s the, you know, that’s good really, I mean Tilr a automates recruitment and we’re a marketplace that does, so that is, you know, mobile first number one, but our, I guess our core area that differentiates us from anything else is that we base all of our matches on skills and we’re really focused on eliminating bias in the recruitment process and really expanding kind of the talent pool that we see and we can do so based on the skills currency. It’s interesting something you just said there, you said expand the talent pool. Can you talk more to that? How you see the talent pool as you know, not already set? Yeah, absolutely. So you know, one of the things, I guess it was kind of a luxury of growing up in the recruitment space, especially bringing that to fruition with career builder is that early in what was happening with talent acquisition and the human capital when it started to digitize was you would have companies that were really acclimating to the process of posting a job on online, getting hundreds of resumes and they were really excited in the early years. And then all of a sudden there was this pivot where companies were saying, wait a minute, I’m getting too many resumes. How do I exclude people? How do I eliminate individuals with screening questions or keyword filters or, you know, making sure that, you know, I only see people that had a previous job title and that process over time has really started to create what I see is actually a skills It’s not a skills gap in a, let’s say the stem meaning, but it’s actually we’ve created this fictitious skills gap because our technology has been built to exclude. And so for us, you know, if we look at an individual in a different capacity and you know, we can talk a bit about the skills currency, you can actually start to expand the talent pool because you’re judging and individual based on their amalgamation of skills rather than their previous job title or their previous resume. So as an example, if an individual work, let’s say as a customer service rep, you know, they know how to log onto a computer, they know how to work with clients, they know how to answer phones and carry on, great conversations. Now, if they also were a server in their previous world, you know, they understand how to handle financial transactions and give great service. So if we look at just those skills, that individual could absolutely be a bank teller for instance. Now if a organization posted a bank teller job, they might not ever consider somebody that did a customer service job or a server job. But by looking at a neutralized currency of skills, we can actually match in a very different capacity. So then we actually have a much broader talent pool than we ever thought in. What we see is, you know, if we’re able to number one, neutralize the data so we can look at job requirements to the skills of an individual. We can automate the recruitment process and we can see that there’s a lot of skill overlap in a lot of jobs that people previously have. But what is the bigger impact can also be as we can also start to identify real skill gaps and start to close and with training and development. And by doing this, this is how Tilr kind of came about and it allows us to really eliminate bias, expand the talent pool, and quite honestly kind of speed up the entire process that, you know, we kind of see today. Can you expand a little bit on the training and development aspect? What are you guys doing to further education of potential employees? Yeah, absolutely. So when we created Tilr we said we’re going to automate recruitment, we’re going to have this great marketplace for jobs, you know, we, we get affectionately called the match.com of recruitment or the Uber of jobs and that was one aspect of it. But one of the other aspects we’re saying, you know, we’re not going to be one of those organizations that come up with this great way to get people to work and then not care for them. And so we create an association that is really designed to care for independent worker rights. And one of our partners is cengage learning, so cengage used to be Thompson publishing, they publish all of the textbooks across America. They have a partnership with 2100 universities throughout North America and they can offer certified training and development and from a credited university. So that’s one area that we really look at. In addition to that, we also work with other local institutions and local community groups as well. You know, we understand that there’s a very large unserved population that never really gets touched in the way that they should be from a talent perspective. So we work with a lot of nonprofits to say, Hey, who are your constituents? How can we help support them? How do we help get them, you know, work because at the end of the day, you know, we automate recruitment. So it all comes down to skills. If they have the right skills to the requirements of our, our companies, they’ll get hired. There’s no more biased that’s in the process. So that really has a much larger impact on a lot of different populations for sure. So it sounds like there’s, there’s definitely some discovery of new talent from the company side of things. Do you find that the individuals are also discovering opportunities that they did not see before? Is that, is that part of the value proposition here? Absolutely. So, you know, I think number one, diversity, uh, we definitely say diversity increase because the algorithm made the match in the power actually lies with the person so the person can accept or decline a role. So we’re made to run actually in your pocket and send you job opportunities. So when an individual gets a push notification that says, Hey, you have an opportunity, they can see where the job is, who they’d be working for, how much they would be paid, what the schedule is, and then they can accept or decline if they accept that job, they get the job that there’s no more interviews, there’s no future things to jump through and really push forward. So for our members, you know, when we call them, our people, community members are Tilrs affectionately. For them, it’s the first time that they’re really able to just instantly get a job offer in, for the most part it’s with companies that they would have had a very hard time ever even getting through the door to have a first interview. So I think that that’s really impactful. I also think from a client perspective, you know, they’re getting such amazing talent that’s actually lined up to exactly what they need and not based on a person’s ability to write a resume or two game an interview or you know, some of the other tactics that we see in, in traditional hr. So I think that it is a very interesting scenario for both accounts on how you know, how they’re finding better talent and a new capacity. I think one of the cooler things that we see are companies do and, and I’m sure you guys have seen this with other startups, your clients start to use your product in different ways and you learned from your clients and you know, you expand on that. But one of the great things that we’re seeing with a lot of our clients, the more they acclimate to using us, the more aggressive they are with using us. They use us more often and more frequently and more aggressively from a, you know, they’ll post a job at 9:00 PM at night one and people at 6:00 AM the next morning and we get them, but they get a little aggressive. But I think one of the cooler things is now they’re using this as the new interview. So instead of doing the, you know, the traditional process of posting a job and doing interviews and second interviews and all of that, now they’re saying, you know, what, let the algorithm make the match. Have them come in, work a couple of days if it makes sense, we’ll just hire him full time onto our own staff. Let’s just circumvented the entire old process. This is a better process for them. So it’s really fun to see that occur and how great of a fit it becomes for, you know, our community members as well. So there’s a ton of emphasis. Obviously this is your core thesis on skills based hiring and maybe you could walk us a little bit through the product and what it looks like for a worker who wants to put their profile up, how do they pick their skills is a customized and how do you guys verify that they actually have those skills? The process is pretty easy. Download the APP and they create their profile. What we do is, although we’re titled Agnostic, when we, when it comes to matching individuals to job opportunities, we do use a title of previous work as a way by which they can unlock the skills that would be associated with that title. So an individual comes on, they put in customer service rep or whatever previous job they’ve had. Um, and that expands a bucket of skills that are associated with that. From there they actually ranked their proficiency level a one to five. So we’re likert scale, which is the most from a psychological perspective, it’s the most verifiable, easy to use kind of scale that we find people are most truthful with. So they do their proficiency rating on their skills. It goes pretty fast. Typically it takes about 90 seconds to actually complete your full profile. Um, it’s kind of like a candy crush model, so when you’re, when you’re selecting through all of your, uh, your skills, it kind of goes and you can put multiple job titles in there. And then on the back of that we actually conducted on onboarding call and that call is to one, verify the skills, but to actually coach individuals that are more than their job titles that they’ve put on, into the profile. Because what we found early on in our Beta is most people are so well trained to lead things off of a resume or an application that they just naturally do it in, in a mobile application as well. So we have to coach them and say, Hey, did you do any other jobs in the past? Have you ever. What did you do in college? What did you do, you know, earlier in your career, you know, what did that look like? Well, by doing that, you know, we have a much broader list of skills that can be pulled from one more matching individuals to jobs. So that’s one way that we do. It’s basically an interview. It’s exactly what that first screening process would be in any traditional job process that you would have at any other company on the back of that. We actually do conducted in a background check from there, the individuals deemed on demand ready. So that means they can accept jobs at any point in time. So once they’re matched, they don’t have anything else to do. They can just hit accept for jobs where we validate skills and uh, and uh, further capacity is once they start working, uh, we have a 360 degree feedback loop. So the company rates the individual, the individual rates, the company. And we’re really using that as a way to strengthen bonds and verify skills. Not as a way to have like a star system of ranking of our individual Tilr community members. So we have that put in place and we’re also adding. Actually, we just rolled out a ways to, to look at tools and certifications as well, so tools, if you think about like a graphic artist didn’t need adobe or uh, if you were a welder or you might need specific tools for that, so we’ve just added that as well. And, and future will hold on. I’m sure we’ll start to do some other kind of testing, you know, especially if you start to think from a technical perspective as well. We might miss the mark maybe on a perfect match the very first time that a person goes out, but subsequently with the rating system, you know, we’re able to really validate that it’s happened very infrequently that the skills and individuals indicated is, is not what they actually have, which is really interesting to see. We see consistently people underrate themselves, which is interesting and you can go down a rabbit hole on that and the psychology behind that too. But it’s very interesting when you, when you talked to somebody about the proficiency level for a skill, you know, you’ve got people that are, you know, we’ve talked to, they’re like, well, I’ve only done this for 10 years, were like, you’re an expert. You’re absolutely, you’re very proficient. But it’s really funny because they’ll put like a three instead of a five. You know, it’s, it’s fun to, I guess, explore human nature when it comes down to that. Can you talk to me a little bit about when somebody hires one of these, one of these workers, what’s, what’s the typical amount of time or duration that somebody works for that company? Then? It all depends. I think where, where the vision was early on, we thought we would be more of a gig based company. We’re like, okay, this is just going to be for Gig work. And then very quickly our clients were like, no, you’re legitimately an alternative to a staffing firm and we want to use you. So you know, some of our clients are using us for. We have a client that had a ton of tee shirts that needed to be folded and boxed and shipped out, so they needed somebody to work for two days, you know, that’s one, you know, one area and it is very gig based. We have another client that is a music venue than you and every time they have concerts they need people to come on. So it’s, it’s consistent work throughout the summer, but they’re just like a day or two whenever the concerts are there that they’re going to the venue and cleaning up and you know, kind of so on and so forth. And then you’ve got, you know, clients like everything but the house where they have a distribution center and they need help in support seasonality. Yes. But also they have a kind of seasonal spikes even within a month because they follow a real estate market. So you know, our clients are using us in multiple capacities. I’d say on average we’re seeing about if it’s. If we take out the GIG anomalies, most of our workers are working with companies between, I’d say two and three months on average and most of them if they do end up with the company for two or three months, they ended up getting converted off of our platform and in over to the organization directly and then they basically stay in the platform as a gig worker on the side. And so to follow up on that, how does that work as both sides of that platform is I am, am I as an employer saying are indicating that I want somebody for a couple of months or just a day and I as a worker, I’m saying I just need work for tomorrow or how does that expectation setting work? Yeah, so when the user, the community members’ profiles setup, they actually do indicate their availability and what they’re looking for. 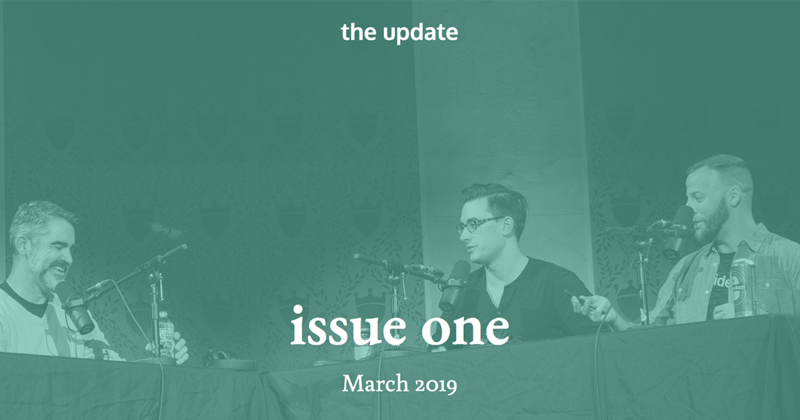 When we actually make the match, we match it based on availability, how far they’re willing to travel, and that helps kind of set expectations from our perspective as to the availability of our community members. The beauty of the product is that when a company goes on tour in our web APP and they put in a job opportunity there indicating everything down to what the schedule looks like, what they’re willing to pay, all of that’s in there. So when you push that job offer out to the, to the community, the individual accepts or declines at. So, you know, kind of the power is with the people from that perspective. So it makes it pretty easy for us to, to not only match, but if we’ve got declines and we know why the individual declines, they tell us and we can go onto the next person. So you mentioned earlier, and I just want to have a couple of numbers to some of the things we’ve talked about. You mentioned earlier that you could get, uh, requests at 9:00 PM and try to get someone in by 6:00 AM. What’s the turnaround time on average for getting a request for applicant in and someone to accept and show up? So typically I would say on the fast side about we’ll get it filled where somebody actually accepts the job that, that happens. Actually in a matter of minutes, so that’s really fun to see that, that occur on the long tail to get an opportunity to build maybe two days. So that might be a situation where you know, there’s a new skillset and we need to go out and recruit for that type of population, but that’s kind of the long tail of actually getting a job filled. So from, you know, a traditional capacity, if you look at what, you know normal organizations are facing to find new talent, typically on average takes 46 days and you know, that’s a long, long, long, long process and I’m sure you guys have interviewed at some point in your lives and you know, how painful that is. So painful on all parties, right? Yeah. On average $4,000 per some of the reports from Sherman and American staffing association costs on average $4,000 for a minimum wage job to be filled and up to 46 days. That’s a bit ridiculous. You know. So that’s one of the reasons you know, Tilr was definitely created is to stop that. But from a job posting perspective, you know, our goal is to fill the opportunity with in minutes, but we’ve had some instances where it’s taken up to two days. This is a dual sided market place. Obviously the customer is really the, the company that’s hiring. Can you talk to me about the model behind that a little bit? Yeah, yeah, absolutely. So the model, we actually charged 25 percent above the hourly wage of the worker that is working for the organization. So it’s free for our community members. They’ll never pay to be a part of the community. And we have just over 30,000 community members so far on the platform and growing just over 300 clients. Actually almost three slash 50 now I guess on the platform. So for them, uh, yeah, it’s 25 percent above the hourly wage. If they fall in love with one of our tellers and they want to take them off platform, we charged a conversion fee. It’s dictated by an MSA. So every client has an MSA in place that says, Hey, you know, if, if you fall in love with this person, you know, it’ll cost you somewhere between usually about $500 up to $3,000 depending on the duration that the person was working on the platform or the specificity of kind of the skill set of the individual. Can you define MSA for our listeners? and my listeners, I met me. So how many, how many new individuals are you guys onboarding in a given month or whatever metric you use. It all depends. So I would say early on we got really aggressive at attracting community members and we quickly learned that you have to balance supply and demand. So you know, our goal is not to now just attract thousands upon thousands and then not have job opportunities for them because that’s a really crappy user experience. So we don’t want that. I would say on average now between two and 4,000 is what, what’s coming on platform and onboarding in a given month. On average, early on it was definitely a lot more than that. So right now we’re really thoughtful about, you know, attracting a user base that we know we have a pipeline of jobs coming available so that they have a bit of a, a better user experience. But from my perspective, you know, we typically, you know, we want to have at least 10 individuals available for every one job just in case somebody declines or they can’t take the full schedule. You know, we can actually work with clients to co-share, you know, if they’ve got a situation where they have three months of work, you know, maybe they don’t need that one person to do the job. Maybe we can get them three or four people to actually share the schedule, which also helps them, you know, avoid things like attrition and burnout. Especially in some jobs that are pretty aggressive. Like if you’re in a warehouse or logistics and you know kind of things that are a bit harder on individuals. I know that in warehousing and logistics, turnover’s pretty high. Yeah. Is that a problem you guys are explicitly saying that you helped solve? Not just from filling space, but saying these people can become full time hires and lower turnover, increase retention. Yeah, absolutely. So retention is definitely something we discussed, especially within that kind of vertical. We’re educating our clients quite often on, on thinking differently about talent. So it’s not just, you know, finding one person to do one job. It’s thinking about if you’re a, you know, some of these warehouses I’ve talked to 200, 300, 400 percent a year in turnover. That’s absolutely ridiculous. So how do you solve for that? And it’s thinking about number one, your talent a bit differently, you know, how do you split time between individuals are also, you know, how are you taking care of those individuals as well? So, you know, one of the areas that we’re working on right now is, you know, we pay weekly through the mobile application. We kind of broke her, the payment between the worker and the company. We were paying weekly, but one area that we’re getting ready to roll out as daily pay and being able to say, wait a minute, you can attract a whole different base of talent. If they are able to be paid daily so that they can afford to get gas and show up and work, you know, so those are some areas that, you know, we’re definitely working with companies to educate how to use talent differently, how to source talent completely differently and then also how to care for workers in a new way that makes them want to stay at the organization. What do your payment terms look like there are companies paying you upfront or you floating it and then collecting ar on the back end. It depends, you know, obviously we prefer to be a full broker, like a broker, a payment. So basically, you know, the individual goes to work. It’s an ach or credit payment coming from the company. Um, some of our companies we do have invoicing so we do float a bit for our larger organizations. So you know, some companies they have a standard policy and you know, we work with in terms to make it work. But typically on the longest tail it’s, it’s a 30 day invoice period. Okay. Can you talk to me about where you guys are operating right now? Which markets? Yeah, so we launched in and founded the organization in Cincinnati, so that’s kind of hub home base than we are in Dayton, Columbus. We just launched an Indianapolis where in northern Kentucky and now we’re also launching in Louisville right now. And so our expansion plan is to be in about 15 markets by the end of this year. And what does it look like to launch a market? What does that process look for look like for you guys? When we started it looked very different. We were following kind of the same model of get workers and the businesses will come and then leave quite, you know, quite rapidly realized and now actually the demand is the jobs workers will come if you know that you can give them a great user experience where they’re getting job opportunities. So now when we, when we go into a market, we were really doing kind of a land and expand methodology where we go in, we pick out actually a county specific that we’re going to target first and foremost, focus on getting the first 50 clients and the first 500 community members that really have the skillset that can meet that demand and then we expand from there. So for us it’s actually a bit easier to now expand based on a key client strategy. So most of our clients that are in Cincinnati actually have arms into Indianapolis or Louisville or Lexington. So it becomes very easy for us to say, great, that’s wonderful. We’ll absolutely start building up a population that matches exactly what you need because we know what you need here in Cincinnati. So we’ll, we’ll be able to find that talent in other markets. So from an acquisition strategy perspective, you know, getting our users, you know, digital is the easiest. It’s a mobile APP, so you know you’re going to focus on digital, but we always do look at nonprofits and community groups that have a heart for getting people to work in every community as well because we find you can have very, very strong relationships built and find amazing talent to really impact those cities as well. We don’t want to be one of those organizations that markets from the outside in. We want to probably, you know, kind of be inside out if you will. So you mentioned earlier in the, in our discussion that you guys were, we, where you are right now is close to the vision. So it sounds like looking at the credo principle, you’ve put in 20 percent of the work to get 80 percent of the way there. I’m really curious lately about what the 80 percent to get the final 20 percent looks like. So what do you think that looks like for Tilr? So I think where we have the biggest opportunity is data. The most interesting things is obviously, you know, when you think about the skills that you’re collecting and all of this data from each individual as well as the requirements from companies, we start to see this really interesting picture of what a geographic impact looks like from an economic basis. And what I mean by that is if I look at the city of Cincinnati, I can look at in 2017, I think we had $6,000,000 worth of job opportunities that were pushed out and when they were declined, the biggest decline reason was transportation and I can actually now look at the data and say I actually have a heat map of where people were declining job opportunities for transportation. Now I can go to the city of Cincinnati and say, hey, did you know like the infrastructure here isn’t supporting individuals being able to take job opportunities because they don’t have a solid infrastructure for transportation. How do we solve for that? And if we look at, you know, other other ways that that big data could actually be built. We can look at, you know, organizations that are going fully automated and autonomous and all of a sudden you have these workers that need new jobs or new skills. Now we can actually inventory the skills of the individuals that you know are kind of being replaced by whatever new future automation is occurring. We can then look and say, wait a minute, you know, we have near qualified occupations in these areas. Why don’t we start training and developing these people so that they can be valuable to our new economy. So when we started, I don’t think we were. Our mind was so set on data, but now we’re like, whoa, there’s some big impact here that we could be taking and making an impact on the regions that we’re serving in the states that we’re serving. What are the next steps to attack that opportunity for you guys? Obviously the buzz is all. We’re always going to be around ai and and now you know, what we’re doing is we have to be very thoughtful on ai when you’re talking about humans. We don’t want to train our, our lovely robot to like say that only 26 year old men can get Xyz job or you know, we don’t want to make, you know, those kinds of leaps. So we’re, we’re definitely very thoughtful and training the algorithm and looking at machine learning in order to do so. So those are big layers that we’re adding new product features that allow us to close feedback loops are also helping. And then from a partnership perspective, from a future vision, we’re looking at a lot of channel partners, so not just a channel partner to sell Tilr, which is fabulous and we love those kinds of channel partnerships. But we also are looking at what are the organizations that could help us improve data and close some of the pieces that we might not have or we might not have visibility because it’s just not our wheelhouse. So economic development initiatives, working with states, you know, we’ve, we’ve been talking to like the state of Ohio and the State of Florida and Virginia and looking at some of their challenges and where we can solve, but they also have data that we just don’t have from a demographic or other impact areas that could really lose the loop on, on some of that as well. It’s interesting you bring up the transportation issue. I briefly talked about that with Eric in the intro with the smart city efforts we’re doing here in Columbus, Ohio. Something I’ve learned is specifically warehousing jobs. Fifty percent of the turnover is due to lack of transportation or unreliable transportation. So you touched on ai, which is something that we wanted to get into a little bit. It seems like some of the industries you were focusing on now could be some of the earlier industries to get hit by automation, replacing jobs. So how does Tilr the company prepare for that if that’s the customers you’re serving now, and also what do you plan to do to help those workers who could be displaced? Right. Absolutely. So that is actually a really amazing question and something we actually think about quite often. So I think that we’re more prepared for that because we are focused on the skills currency. We’re not focused on some of the other ways by which individuals are judged. So that gives us the luxury of, of understanding how we can actually impact training and development our technology already indicates not only what you’re qualified to do but what you’re near qualified. So we have every individual we can say, you know, how many different types of jobs they would qualify for today and then what they could nearly qualify for so we can actually work with companies and/or members or governments and say hey, let’s let’s launch something that looks a bit different. And that’s where when we talked to like workforce development boards and innovation directors and the governor of Ohio for instance, they’re keenly aware of automation and what the impact. And so we’re working to to help give the data there, you know, to solution for that. Another area that we’re really looking for is allowing our people to move upstream, so to speak, as they get more and more jobs and feedback from companies. They learn skills so they’re adding new skills all the time into their profiles so they’re expanding their ability to take on new jobs so that, that helps them naturally kind of move around into new areas that they never would have tried or never had the ability to qualify for in a traditional recruitment process. So you know, those definitely help as we are building and expanding on like our, our vision of making the skills currency, the new way that people are measured on. I think one of the more exciting things that we’re launching this year is taking our technology and white labeling it for companies. And the reason it’s exciting is not just, you know, having a new revenue stream because that’s fabulous. But beyond that, if we start to think about, you know, our skills table and how we’re allocating talent based on their skills in a marketplace, we know that there are nuances in every company and really cool skills that people learn in an organization like proctor and gamble that nobody else would learn in any other company. So when we start to think about companies skills tables and reallocating their own talent internally, so, you know, saying somebody worked on one project, we can reallocate them to a different project and do that in that capacity because no company knows most anything about their employees besides maybe one year or one job before they joined the organization. So silly that companies keep going out externally from their organization to recruit when they likely have the talent in house. So that’s really impactful. But what that allows us to do from a broader view of the marketplace, we can start to eat that type of data and take that, you know, let’s say higher end type of job profiles and feed that over into our marketplace. So if we think about our marketplace serving maybe blue collar work more often than white collar work, so to speak, our marketplace goes like this and by doing white label we can start to kind of close that gap on even looking at the broader view of all the skills that exist and it helps us be able to pivot a bit faster when you know new types of technology come on the scene because it changes every day. So that’s kind of how we’re looking at it. We knew that we would want to white label our product for organizations because we saw it happen at, at other organizations we’ve worked for in the past, but the impact of that data side wasn’t as clear until recently when we were starting to build it out. Skill stables were like, Oh wow, this is, this is going to be a huge impact on, on our organization and our marketplace. When this is white labeled in house, is that a tool used by the hiring manager or the recruiter, or is this almost a replacement for that role? Depends on who you asked or talked to. Some recruiters get a little nervous, no, you know, from a white label perspective, you know, we’ve got companies that are at it for serving a different population. So for instance, we have a nonprofit that’s wanting to use the platform in order to get restored citizens back to work and to be matched to companies that are willing to take those with limited pasts and use this as a tool by which not only the matches made but because we use our technology to clock in and clock out and payment and all of that’s kind of built in. They can actually then layer on the social worker on top of that. So they’re monitoring the individual and they’re ensuring success on all parties. So that’s one way to think about how it can be white labeled staffing firms quite honestly have been, you know, a target for us because we kind of built this beautiful backend system for own use because we’re teaching our technology to make the leap on when matches should be made and we have to manage our talent to make sure it fill rates are insured. So we built this great system that could absolutely be used by a staffing firm and then you’ve got organizations that are major fortune 500 companies that have hundreds of thousands of employees and they just don’t know how to move them around internally. Like you know, if there’s a am shift verse a PM shift and, and knowing that they have actual talented, they don’t have to continue to go externally, three allocate them and we’re really hoping that more companies start to think about their talent in a very different mindset so that you know, they can start to impact attrition and turnover and the major challenges within hr in today’s economy. Looking at one more of these kind of futuristic complexities. And you mentioned that your guys tilt is maybe more towards blue collar work right now and in the midwest this isn’t as big of a issue, but as you move further south, the issue of undocumented workers as 10 99 employees, I know from my own experience grows pretty substantially. What are you guys seeing in the market you currently operate in and doing about that as you expand? Yeah, so we do do a background check and we do have measures already put in place to help with that. I think one of the areas that we think about too is ways by which we can look to verify that the human using the APP is the person that shows up and, and you know, thinking about that we have know picture, you know, they take their picture in that they, you know, that’s one way. I think from a future case scenario, we have actually looked at verification through things as unique as measuring somebody’s ear. I know it sounds really funny, but it’s actually more verifiable, uh, your, the shape of your ears more, more indicative than actually your thumbprint. Wait what? Can we go into that a little bit more? Its crazy. So there’s a, there’s a fabulous startup in our state. I’m actually out of Dayton that’s doing this really cool new tech that can do one of two things. They can actually verify an individual. Instead of looking at thumbprint technology, they actually do an ir scan. So it would go from ear to face and it would verify that that that person is who they say they are because you can’t mimic that and so that’s one thing that they’re doing. They also have a technology that would allow for a scan of the eyes and again, you know, your eyes are very unique but also can actually indicate if you have taken any drugs or are maybe under the influence of something. And what’s really cool too, is it a, it also can indicate if they have a concussion or or some other things. So we’re actually, we’ve been in good conversations around putting things like that in place as we, as we grow and expand and understand that there’s always challenges in being a marketplace and you have to anticipate some of those issues issues occurring. So we’ve definitely, we have some interesting things on the roadmap in order to make sure that we address those challenges. Whats the name of that company? You know, actually I think granted I will totally get you their contact information that gets. It’s full. It’s out of dayton. So fascinating. Really, really when I got the pitch I was like, what is this? That is so cool. My members are going to be kind of like, why? Or do you want to see my ear? There’ll be a whole new conversation. My customer service team. That’s super, super interesting. So these are the companies that you have on the platform right now. You’re helping them find skills fits for jobs. Is there any emphasis put on culture fit that’s such a. that’s such a big part of hiring at startups that have been to. Is that less of a concern in the industries or types of roles that you’re hiring for? Yes and no. I think one of the things is, is really starting to push forward the need for cognitive diversity and diversity in an organization. So at the end of the day you can say cultural all day long, but are you looking at culture in a way that can really push your vision forward for the organization? Or are you just trying to have everybody kind of a carbon copy of one another? So for us, we, you know, we do talk to our clients a lot about that, where we are able to combat against, let’s say the culture fit is that at the end of the day and an interview process, anybody can game an interview and we know that the first day or the first few weeks is when you find out, oh, was that a great fit or wasn’t it? Um, so by using our technology is as the new interview process and having your first few days is really making sure that there’s a fit, becomes a new way to think about it. so, you know, at first I think we did have that, that culture push back and then when they started to educate our clients and saying, you know, how many times have you hired somebody and you really wish you hadn’t? And a lot of times, most, most people say we do it all the time. So that’s the way that we see it. But I think one of the new things that we’re seeing is that more and more companies are doing things like, you know, personality profiling and you know, they discover that at the end of the day, you know, it, it actually comes down to the interpersonal workings of the individuals. Not so much are they a culture fit from what I’m interviewing, it’s more, oh, let’s put susie next to Bob and Jerry and let’s see how they interact from a personal perspective. And that’s how you’re going to increase diversity on within an organization. How do you guys hire at Tilr? We actually do hire quite often through our APP, which is my preferred method because I hate interviewing. I hate, I hate, I hate the whole process. And then I also hate job titles because I think, you know, nobody actually fits into one job title. I have like 30. Yeah, it was. And they still don’t all match up to what I do on a day to day basis. So yeah. So I, you know, we do absolutely use our app, uh, in order to get individuals in and even even up to, like I’m hiring a director of marketing right now so we have it pushed out into our community to have people come onsite with us as well. Most all of our Tilr ambassadors, who are the ones that do those screens, they all have come from our mobile APP. Yeah, no, we have six individuals on staff right now. So they’re conducting the onboarding calls. They’re also managing and making sure people show up to work and managing check in check outs, you know, because obviously some people forget to check in and out and making sure that, you know, all of that’s kind of a managed. So, you know, on a given day we can take up to six onboarding calls every half hour. So that’s been pretty manageable for us from an onboarding perspective. And our goal actually from an onboarding call is not to do that always. That was really, you know, as you’re learning early on, you need to have those conversations with these community members to understand how to improve a process and eventually create a Bot that can do some of the screening and we think more often than not, most of our community members in the future will be kind of onboarded through the tech, you know, as we, we’ve now had a couple of years to really understand how people answer or if you know the questions we’re asking are valid or where the nuances are. So I think it will only be portions of our population that will actually be onboarded in the future by, by an actual human. I think that question by Eric was a test and I think you passed. I was going to ask summer, you talked about earlier on, you guys were bringing on thousands of people a month as users and then you realize you have to slow down and balance supply with demand. What is the process for onboarding a company? Why can’t you ratchet that up? What’s the limiting factor there? for our audience. Can you elaborate on the grub hub case study that you mentioned? Yeah. So you know, early on the traditional method is you do like a two week pre ramp and then you’re doing things free and you’re doing, you know, kind of like couponing and stuff. So they, they started launching a bit more aggressively where the land model a land and expand wasn’t about like, you know, weeks or months in the market to, to, to grow it. It was more like okay, instantly get 50 key clients and go to the next city, go to the next city, go to the next city. So we’re now looking at doing that methodology rather than originally thinking, okay, well now we, we feel great and Cincinnati, let’s go to Columbus, let’s try to build columbus slowly and organically now. Now we’re like, wait a minute. Nope, we, we launched indeed just a couple of weeks ago. Now we’re launching Louisville and subsequently, you know, we’re going to be launching between, I’d say two to five cities every three months, so every quarter. And that’s going to start to accelerate as we’re learning so much more aggressive acceleration cycle and we have a growth team that’s kind of focused on that and of learning from, you know, the slow ramps that we saw from the other marketplaces in the past. So we’re definitely data dorks and look at how other companies have done, you know, what they’ve done and I’m not ashamed to call out any entrepreneur that has paved the way and say, Hey, what did you learn? You know, because at the end of the day we learn more from our failures than our successes. I think. So it’s always the, you know, tell me, tell me where you had a challenge in how you, how you, uh, look to fix it. So we’re getting a lot more aggressive. Can you talk about what it’s been like building Tilr in Cincinnati, here in the Midwest? How has that impacted your approach to building this company? And if i could Like tag on real quick and what skills do you need here in the midwest that are different from the skills that you might need starting a company in San Francisco or New York? Yeah, so I think one of the best things about being in the midwest is number one, we, we joke in Cincinnati that everybody’s Cincinnati Nice, you know, so all of us I think in the midwest are at least willing to have good conversations with others. So number one, we have the best support system you could ever ask for in Cincinnati. I mean we have an ecosystem that’s been developed to really foster not just success because I don’t think entrepreneurship is not just about, you know, the big exit and the success that you have from that. I think that you learn so much from challenges that you’ve had in the past and I know I have, so I think that when we finally have an ecosystem that can absorb great entrepreneurs and put them either in big companies or small companies or new startups, you know, we actually have that now. I think the key in the midwest is your ability to network and not just for money. Networking for knowledge I think is also so key. And I also think that you need to give back, um, and have that mentality in the Midwest. I think that that’s not the same in the valley. I think also one of the big movements that I’ve seen probably in the last three years is I think most entrepreneurs from the Midwest, we’re apologizing for it. Like, Oh, I’m in Cincinnati. And, and I think that, you know, one of the, the big skills that we need to have is to stop apologizing for launching a company where you live and where you love. That’s something that more entrepreneurs need to take to heart. That we should be proud to be outside of the coasts and having great success because there’s a lot of amazing talent and you know, we all know why we’re staying in the Midwest and why we’re not on the coast. We know that, you know, are not just cost of living and all of that statistics that you check marks off of. But the ability to grow looks very different here than it does on the coast too. So for me, I have eight fortune 500 companies within three blocks of my office. We have the largest concentration of fortune 500 companies per capita than anywhere in the world. So my ability to sell looks very different than somebody from the valley coming in and trying to pitch a kroger or a proctor or a fith third or any of those big organizations and they’ll take my meeting because they’re nice and they want to help. They want to foster this system. Right? Like so, you know, I, I thought it was one of the cooler things that had ever occurred when I, when I launched Tilr in Cincinnati, I reached out to her or ecosystem at cintrifuse and you know, it was like, hey, we’re getting ready to go on the Beta. I basically, you know, we’ve been hidden in a basement. We haven’t been talking about our brand. We haven’t even put our website up yet because we had strong ties within, you know, kind of this industry. So we didn’t want other great friends to know that we were building this thing that’s, you know, basically disrupting, you know, what they’re doing and the first people that they were introducing me to, we’re literally fortune 20 executives to help coach me on how to, how to work with them and getting the Beta contracts with these organizations. Now that is not how it works in the valley. I also think we have an opportunity, although we might not grow as aggressively as you’ll see in the valley, we have a better opportunity to learn and we have, I think a market that’s a bit more forgiving. So when your baby’s ugly, when you launch it, it’s okay. It’s not as challenging as, you know, everybody’s seeing it in the valley and getting scrapped and that’s, you know, it’s just a different, a different culture. So I think that those are all great benefits. It’s just, you know, if you’re an entrepreneur you have to be more about the people and supporting one another here than I think that then you would see kind of on the coast. So you mentioned that the ability to network for knowledge, not just for money but you seem have done a great job networking for money as well. So you could walk us through kind of what fundraising looks like to you. So you guys raised a huge friends and family round and then a smaller round from a VC. What is, what was the strategy going into that and how did you go about that? Yeah, so we are the weirdest fundraising scenario on earth. I think. So how Tilr came about is it’s really kind of funny. So Clarissa and I had a, our boutique marketing firm that we had launched, an investor had called us and said, hey, I have this app that I want to bring to fruition and it’s for farmers to be able to push out an alert that crops are ready. And we said, okay, we’ll take a look at it. He had a wire frame, we looked at it. We’re like, no, that’s not. No, no. And so Chris and I looked at each other and we’re like, you know, I like this immediacy thing that’s really cool. Nobody’s really talking about this whole model of business to consumer. We’re all doing these peer to peer models. Right. So we’re like, that’s interesting. And then we had been working with a client for years that had been doing a lot of research on skills. So that was in our heart and we were, you know, thinking about that. And then we were thinking about what we learned at career builder and had actually we’re still working with them as consultants and just thinking about, hey, there’s this new way that we can address all of these cool values that are coming up in all of the transitions that are going on. So we actually went back to the gentleman and said, hey, get where you’re going, but we have an idea. And so it ended up that we pitched what Tilrs today to him and said, look, you know, we know there’s a crisis ahead, you know, 50 percent of our workforce is going contingent by 20 slash 20. It might be more aggressive in certain areas. Actually. We know that the values of individuals are changing. It’s not just like millennials that are flipping jobs every year. It’s actually a value that people want flexibility. It’s a work or value, multigenerational challenge. And there has to be this ecosystem that’s going to support it. But every single person that’s coming out with new tech, they’re basically taking the old job board and putting it into a mobile device. Nobody’s thinking about it differently. So here’s what we want to do. And so he had a business partner, so this was Steven Shefsky and Sam pillarsdorf and we pitched the idea and on the back of that pitch we had a $1,000,000 seed round. So it was a concept. So that $1,000,000 basically we got that in October of 2015. That basically paid for developing our, our MVP on the back of that, uh, we started fundraising and we went in reverse what most people do. We opened up to friends and family and it wasn’t our friends and family, it was their friends and family. So, um, although we do have some friends and family actually that have invested, but their networks are much better than ours. So we opened it up and we started, started raising and that’s where the five point by point six, five point five, it’s probably five point seven right now by point 7 million has been raised on a 20 million valuation, but it’s a friends and family. So we’ve never actually taken institutional money at all. Now we’re in a position that we are looking to raise our series a because you know, number one, we have the traction and number two, we are seeing a massive consolidation this industry, when Ikea buy task rabbit, that’s an indication that this is a hot industry and that things are changing. Career builder got bought out by Apollo, we also saw a shipper was acquired by target. So there’s these really interesting things that are occurring, but again, they’re still running off of the old traditional methodology. They didn’t even change up some of the baseline of, of the traditional process. So for us, you know, getting a series a will allow us to expand nationally and quickly, you know, we all know marketplaces succeed when we have scale and it’s time for us to scale. That was great. Awesome. Thank you so much. Thank you so much for, for sharing that perspective and for sharing with us today. For our listeners, where can they find you and find out more about Tilr? Yeah. Um, you can go to tilr.com, which is t I l r.com. And to find me, you can connect with me on linkedin or on twitter. I’m at summer crenshaw. That’s great. Thank you so much. Summer Eric. We’ll debrief summer. Thanks again for being on the show. Of course. Thank you guys. Well that was awesome. Eric, do you have any first impressions? It was incredible. I mean you could tell she she knows her company, she knows her numbers, she knows her market and she doesn’t have looking, looking down syndrome, right? She’s, she’s got her eye on the prize and they’re high in the future and I’m, I’m really excited to debrief on Tilr with you. What the upside is, what the downside is. What are you thinking? Yeah, no, that was, that was a lot of fun. It was really cool to hear her perspective. She gave. She gave a really good chronological view of the company and the evolution has come through and she was very candid about the vision they have, but how their assumptions have changed over time based on how people are using the product and the feedback they’re getting. And then yes, like you said, she, she really has her eye on what does 2018 look like for expansion, how do we change our strategies, how are the way we think about our business and the way we approach marketing changing? Yeah. I’m excited about it. So can you introduce us a little bit to what we are about to do here? Yeah. So Jay and I are going to go through a very informal version of what’s called a deal memo. A deal memo is usually written up and it summarizes a potential investment for us. It’s simply going to be us talking about what we liked about the company. So as investors or potential investors, what do we like about this potential opportunity and then what are some areas that we see as perhaps places for a bit of caution. Anything I’m missing Jay? Yeah. This is. This is intended to help us debrief. Think critically about all the data we just kind of pulled in from this founder and crystallize our thinking. It’s meant to make us smarter. We record this so that six months from now we can check in on Tilr. See how they’re doing, see how are feeling about the was in relation to where they are. We hope it makes you smarter as well, and anything that we don’t discuss here that from the interview you thought was indicative of some real upside on Tilr, please email us. Hello@upside.fm or tweet at us even better @upsideFM. We would love to make this a conversation. We want to hear your thoughts and what you were thinking when summer was sharing with us. directly respond to these questions, but can you lay out the four questions we’re working through sort of informally? Yeah, of course. So when we think about a company we want to add a potential investment. We want to think about these four questions. One, how committed is the founder? two what are the founders chances of success both in this business and in life? Three, what does winning look like in terms of revenue and our return? and for why has this founder chose this business? If we can answer these four questions and we have a good feeling and support behind each of the four, it’s probably going to be a good opportunity and a good investment. And so what I really liked about Tilr or one of the things I liked about Tilr was they’ve been around since 2015, so that speaks to the commitment of of summer and her team, but this isn’t something that just sprung up and they’re building an MVP. They have traction in the marketplace. She said they have almost 350 customers from the employer side of things on the platform and something like, what’d shes say? Two thousand active users per month? Two to 4,000 onboarded per month. Right. So yeah, I mean the numbers are, are great, especially for a company that’s about to raise or I don’t know if they’re actually about to raise or they’re thinking about raising a series a, but in terms of commitment of summer, you can see the passion. When we were talking on Skype, you could, you could kind of feel it, I’m sure through the airwaves. Uh, she was, she, she loves this business and what it’s becoming and what it’s going to be. She has experience with career builder that calm her and her co founder both. We could also hear how important the cause was to her based on the situation with her husband having come back from Iraq where he was injured in action and that affecting his ability to get employment. Um, so, you know, there’s, there’s a lot of depth to the reason why she’s pursuing this business, which I think is a really, really good sign. I love the idea of activating the full talent pool. Um, that’s something that, you know, as a 27 and 26 year old set of white males, we probably don’t think about as much. But summer she mentioned to us as we were chatting informally runs or heads a group of women founders in Cincinnati in Greater Cincinnati. Um, and she’s really dedicated to ending bias specifically in, in talent acquisition. And I think that is both admirable and incredibly logical. And it’s not just conscious bias right there, there’s a lot of unconscious bias that happens that by definition is not intended, but nonetheless present. I wanted to ask her and we didn’t get a chance. I wonder if they have been asked to screen participants specifically based on some set of demographics, whether it’s age or, or something like that. But we didn’t get a chance to talk about that unfortunately. She alluded to it a little bit. Um, when she said that they need to be very careful about their ai because didn’t want to use past precedent that only 26 year old white guys could be bankers in New York or whatever. So I think that they are being conscious about it. Um, but that’s a great question. Did a company or has a company ever asked them to really narrow their search to a place that they are potentially uncomfortable with given their vision and mission? Something that surprised me about the model, not surprising at all to me is the model of the employer pays when somebody is hired. When I was not expecting was the actual model per hire. She said it’s a 25 percent upcharge on the hourly rate for the employee. I was for some reason, assuming something more like a placement fee. So to me that that model and the fact that 350 or nearly 350 customers are buying into that model looks promising. We’d have to do some back of the Napkin math to see how impactful that is from a revenue standpoint and market size. But what were your thoughts there? I mean, I thought it was incredible because if you’re a company, right, and you have to. Assuming her numbers are right, I think it was $4,000 in expenses plus 46 days of non productivity. Let’s just assume that that productivity is at, you know, something like $20 an hour, you’re looking at almost $40,000 of lost opportunity costs as a company. Right? So 25 percent on top of a job, that’s $10 an hour is 2:50 an hour. I mean to make up that 40,000, that person’s going to have to work for you for a long time. In an industry that we’re noting is very high on turnover. Right? Exactly. Uh, so it, I think it solves a lot of problems. I think it solves a lot of bias problems, cost problems, turnover problems. I think that the data that they provide and the transportation that you hit on early in the research is going to be a critical variable and if they can’t sway public policy, the offering of some sort of transportation might be a way for them to increase another revenue stream and also lower turnover for their clients. But I, I think that it solves a ton of problems. What were some areas that you were a little cautious about? Well, it’s always a little surprising and asks more questions when someone says we’re actually growing much faster several months ago or earlier on and had to slow down and I don’t argue that that wasn’t effective or the right way to do it. I wonder if that’s Midwest bias a little bit to not a have the experience to know how to handle that kind of growth and capitalize on that kind of growth as opposed to just throttling it down or if that was really the way that it needed to be handled and in doing so in turning that down, do they have the ability to really ramp it back up to the same level that it was or you know, it was that. Was that a very finite opportunity for some reason or is that something they can kind of turn on and turn off at will? But you know, the way she described it, it seems that there’s. There’s no reason for a lot of these companies not to try it. So what is the slow part of onboarding companies? How human capital intensive is it to onboard companies and she talked to that a little bit when she mentioned self serve, which I think could be a game changer and could take care of some of this worry, but if it. If it is really human capital intensive to onboard new companies and new regions, that’s going to drive your costs way up, it’s going to create more breakpoints. It’s going to slow you down. That would be. That would be my chief concern. How about you? but maybe it was. Maybe it was something that they just figured out some campaigns and they figured out, okay, this is how we really poor people in and they said, okay, let’s stop doing those specific campaigns. It could be that general of course, general knowledge on the subject of marketplaces is that you start from the supply side is what I learned in my time at Tixers. Youve got build up supply first to really build and capitalize on demand, but you know, it’s it. It is a balance. If, if she had a ton of people coming in and they weren’t having a good experience from a consumer’s standpoint, we expect technology to work perfectly for it to be beautiful and for our experience to be great and that we don’t have to pay for it. So I absolutely believe her from the standpoint of if I am a user looking for a job and there’s just not enough jobs to go around and I’ve tried once, twice, heaven forbid three times, you know, it’s, I’m going to delete that APP and I’m not going to be an advocate. I’m probably going to actively talk poorly about this app that I had a horrible experience on. That’s just what we expect. So it’s harder to recapture those people than it would be the supply side. Yeah, I mean I will say that it’s solving a problem, and I know this is, I’m not a 10 99 worker, but my experience with online a job application sites and my friends’ experiences with online job application sites have historically been mediocre at best. So I remember a couple years ago when I was just perusing the web, I signed up for monster and ladders and a couple other ones and all of them I was just like, this is miserable. Like there is nothing that like, you know, what is, what is the director of business development, what am I can read through the job description, but am I, am I actually just cold calling people or am I looking at mergers and acquisitions opportunities? Right. So I love the idea of skills and skills based. I love the idea of essentially a matchmaking service where I can put in the skills that I have and there is potential job opportunities that come to me and I can accept or not based on how qualified I am. I think that the, the cornerstone idea is solid. What do you think? idea. To me that is huge. Awesome. And it’s that will build stronger companies. Oh, absolutely. I think about some of my friends who work at large CPG companies. I’m not any of the ones mentioned in the interview, but the the ability to find a job moving up or laterally is so incredibly difficult because hr is just overwhelmed. I mean when you have 40,000 employees and you’re trying to get all of them in the right place at the right time, there’s only so many connections the human brain can make. Right? So if you can implement some sort of software that matches the best available there, I think that is as game changing, especially in big companies. The other area that I’m glad we got to spend some time on because I suppose the concern for me was ai and automation and the fact that a lot of the industries Tilr serves right now are going to be the ones that get hit and jobs will change or be lost due to automation. What did you think about summers take on that problem? I love the retraining and I know that’s like a not a great word in public policy, but it seems like they have a dedication to education with your association of individual independent worker rights. They seem to be very onboard with making sure that their community of what they call Tilrs, great name, great name, that their community of Tilrs is able to, if they want to increase their talent pool or their skills through partnership organizations, which in my opinion is the future of how we’re going to solve any job gaps that come up from the increase in ai and robotics and driverless cars and blockchain literally every disruptive technology that’s coming down the pipeline, the way that we’re going to have to fix that is with retraining of jobs, I believe. Um, so I loved her take. I love that they’re already dedicated to that. One thing that I want to mention on the data side is right now, to them it’s a futuristic opportunity and that’s great. I think it absolutely is an opportunity and as they get bigger it’s going to become more of an opportunity, but I didn’t get the sense that it’s a urgent, like it’s something that they’re really focused on our priority a priority. Right. And I understand that because they are trying to expand it 15 cities in 2018, but I think the data side of things in this specific case is so valuable. Maybe the series a will help them focus some of their resources better on the data. Yeah, I think it’s, it’s a goldmine. what did you think about the, so we talked about it a little bit in our research, this idea of an onboarding call, um, and it seemed like they could handle up to six per every 30 minutes as they expand and assuming they get a decent series a raise and that expansion kicks from 15 cities in a year to 50. What are kind of your thoughts on this process of onboarding call and does it really. I guess it’s fact base. I was trying to differentiate here. They, they’re trying to get away from an interview, right? But within their technology there’s an interview, so that to me is a little. Yeah, you’re asking a couple things. So one, the first thing that I think you’re asking is what does it look like economically to have people doing fact finding? Does it make sense to be able to sort of screen them six person per half hour? What does that mean for the company and their costs? Is that something you’re speaking to? I think I would agree and I think that only gets easier and more efficient in the ways that they find are really important to the companies that they’re serving. I think they’ll continue to better hone in on what is important for us to get right in this process and focus their energies there, which will probably increase the number of people that can do in a period of time. But also I just have to think that the model and the possibility is there given from if I sign up for Uber or Lyft to drive right now, I still have to go meet somebody and have my car checked and go through that process. So maybe it’s not smart to tie it to those two companies that are heavily capitalized and say, well, they’re doing it, but yeah, uh, I have to think that it’s possible and not going to kill the company in costs. But that is, that is a good question. I love this. This is a little off topic, but I love the quote that I heard on a podcast this week that said the Chinese are subsidizing our taxi rides because they’re the biggest investors in uber and someone leaked that. Uber’s losing a lot of money on in certain cities, on every ride, so effectively the Chinese are subsidizing American taxi rides. We have a lot of debt to China. Yeah. Speaking of fundraising, what did you think about their fundraising story? How they. It looks on face value. It looked like it was a vc upfront, but it wasn’t. It was someone looking for essentially a project and then five point 7 million of friends and family money means they’ve raised six point $7,000,000 thus far and in about three years they’re looking for a series a. So what does that tell you? What is, what do you think about all this? I love the idea of we found a stakeholder for the problem we’re going to solve and they paid for the creation of the first solution. That’s great. Yup. I think that is something that startups, especially in this region where capital is not as available, that’s a smart model. If you can figure that out because that’s proving a, you’re solving a real problem that somebody wants to pay for and they’re actually paying for it. Uh, what I think is going to be difficult to replicate as another startup in the region is this friends and family round of that stakeholder for close to $6,000,000. That’s great. That’s great for them. Difficult to replicate or say go do that from a, what I don’t know is about the effect that has on the cap table and how a institutional investor at a series a level. We’ll look at that. Are Each of those friends and family investors going to be on the Cap Table? Are they going to have to all be represented? That could raise concerns in that round. What’d you think? They have paying customers. I don’t know if they’re profitable. assume $100,000 per person per salary. You’re looking at one point $1,000,000 in salaries a year. Yup. I’m not the math guy. You’re the math guy you got to do. Yeah, you’re doing great man. right? Which to me means they’re either break even or losing a little bit of money right now, but that’s probably a size issue more than it is a built into the model issue or an expansion issue that they’re trying to bootstrap with their own operating income, so I think that you’re looking at a very solid business model with very solid business foundations and a clear client base. The ability to grow, the ability to expand very few competitors who are flexible enough to expand and change their product to from white label to enterprise. I think it’s a. it’s a. it’s a. it’s a winning proposition and the the only thing that will really hold them back. What do. What do you think? The only thing that will really hold them back is because I’m curious. I mean I’m really excited. I think as long as they can manage that supply and demand conundrum, the next 6 to 18 months are going to be incredible for Tilr and if they can fend off any potential buyouts or acquisition offers, I think that they’re going to be. They’re going to be flying because they have the base and now it’s all time for exponential growth and with a little bit of funding, I think that there’ll be…You’re going to be hearing a lot more about them. What about you? five stars are cool. We like those. Yeah. Probably five star reviews. If you’re not going to have a five star review, you don’t have to leave a review. It’s fine. Yeah, I mean four, fours us are okay, but like fives, fives are dope. Alright, Eric, I’ll talk to you next time. That’s all for this week. Thanks for listening. We’d love to hear your thoughts on today’s guest, so shoot us an email at hello@upside.FM, or find us on twitter @upsideFM. Will be back here next week at the same time talking to another founder and our quest to find upside outside of Silicon Valley. If you or someone you know would make a good guest for our show, please email us or find us on twitter and let us know and if you love our show, please leave us a review on itunes. That goes a long way in helping us spread the word and continue to help bring high quality guests to the show. Eric and I decided there were a couple of things we wanted to share with you at the end of the podcast, and so here we go. Eric Hornung and Jay Clouse are the founding parties of the upside podcast. At the time of this recording, we do not own equity or other financial interests in the companies which appear on this show. All opinions expressed by podcasts. Participants are solely their own opinions and do not reflect the opinions of Duff and Phelps Llc and its affiliates on your collective llc and its affiliates or any entity which employ us. This podcast is for informational purposes only and should not be relied upon as a basis for investment decisions. We have not considered your specific financial situation nor provided any investment advice on the show. Thanks for listening and we’ll talk to you next week. 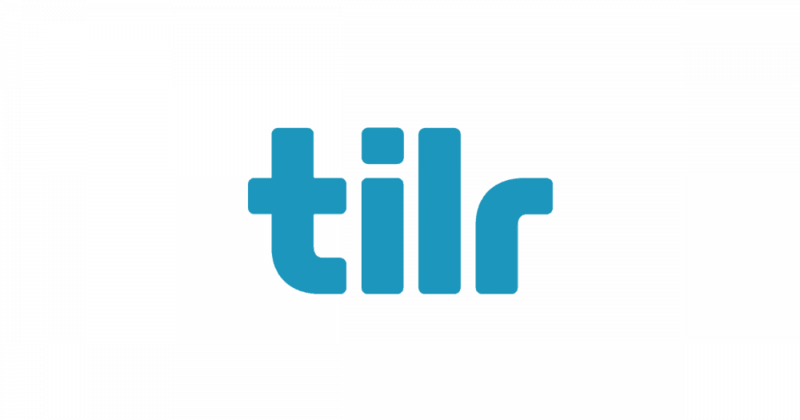 tilr is a first-to-market, on-demand recruitment technology that empowers workers and companies alike. tilr’s proprietary technology matches based on workers’ skillsets, job requirements and location. this allows tilr to quickly fill open positions for employers while offering workers new opportunities. tilr is based in cincinnati, ohio. as a part of the leadership team at hi frequency marketing, summer developed tactics to drive online and offline brand activation. in her leadership role at hi frequency she was able to work with clientele including major and independent record labels, consumer product firms, video game manufacturers and major motion-picture studios. her efforts contributed to media exposure featured on media outlets such as cnn news and in a variety of publications including inc. magazine, brandweek, billboard, advertising age, adweek, and the economist. leveraging this experience, summer worked with careerbuilder.com as part of the start-up team that pioneered the cincinnati and the surrounding tri-state area market development.